This package includes two different courses made to give you a level 3 qualification in electrical installation. This does not qualify you as a full electrician; however, these courses do allow you to register as an electrical apprentice, or move on to level 4 electrical courses. You should attend this course package if you have no previous electrical training and wish to pursue a career as an electrician. This course is ideally suited for beginners as it allows you to progress naturally to level 2 then level 3 standards. With both the level 2 and 3 qualifications, you’re qualified to electrician apprentice level and can gain employment in this position. This is ideal for learning practically alongside a qualified electrician, and many firms will also help you gain your final accreditations. Want to train as an electrician? This training course package, based in our Sheffield electrical training centre, is ideal for ensuring that you gain the qualifications you need to seriously make this career move. Even if you’re brand new to the industry with no prior electrical experience, this course is suitable for you. 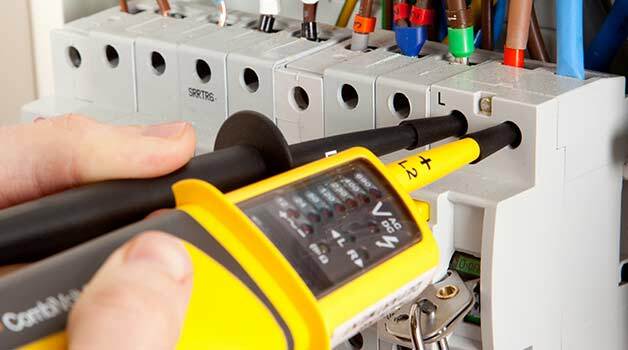 The first course, 2365-2, is made for beginners and focuses on the basics of electrical installations and working safely with them. Once you’ve successfully passed that, you’ll move on to 2365-3 which further builds upon this knowledge and delves further into the field with a mixture of theory and practical work. Our Sheffield electrical training course is ideally suited for anyone in the Sheffield area, including Rotherham and Chesterfield.